My naturopath has had both my husband and I take this product for candida overgrowth. Its helpful to know that men can use it as well. I took the CandidaStat by Vitanica along with a HMF Forte and went on the Candida Diet and I am so please with the results. I feel better so much better. 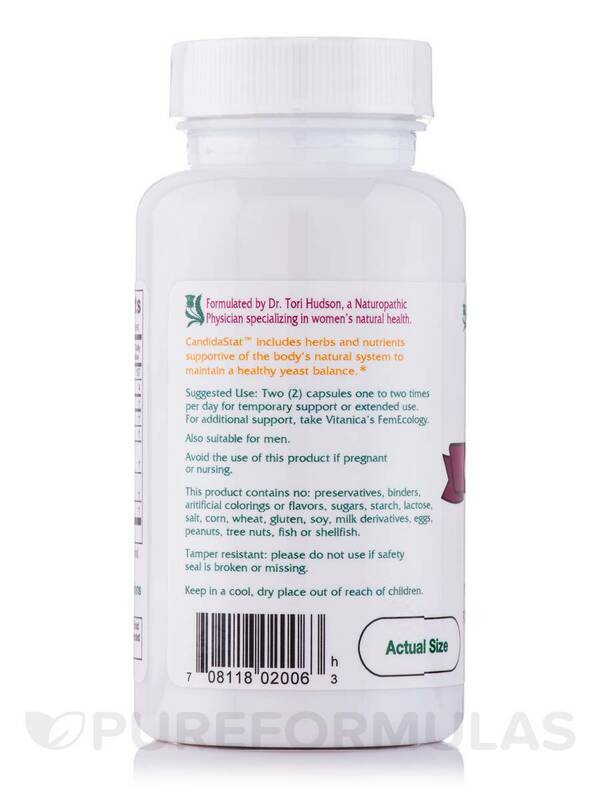 CandidaStat supports the body’s natural system in maintaining friendly flora and a healthy yeast balance. 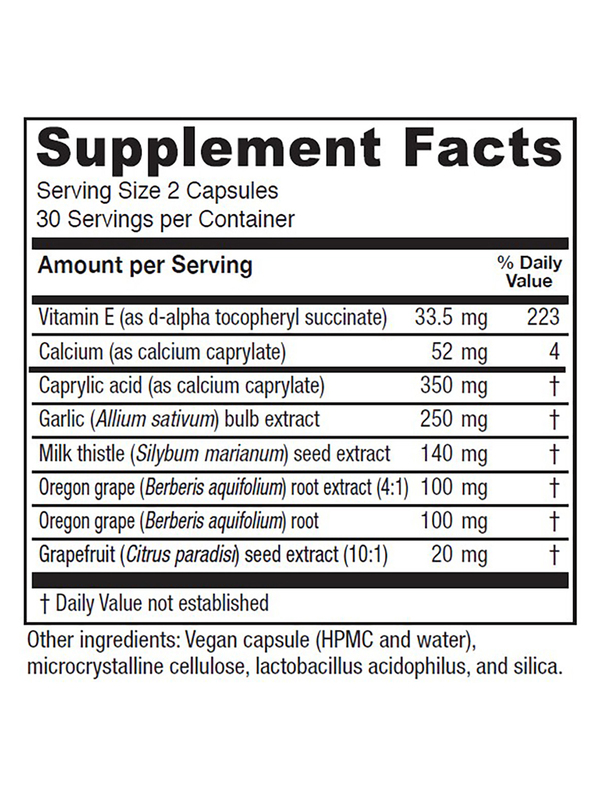 This formula provides powerful herbs and key nutrients to promote healthy and balanced internal harmony. 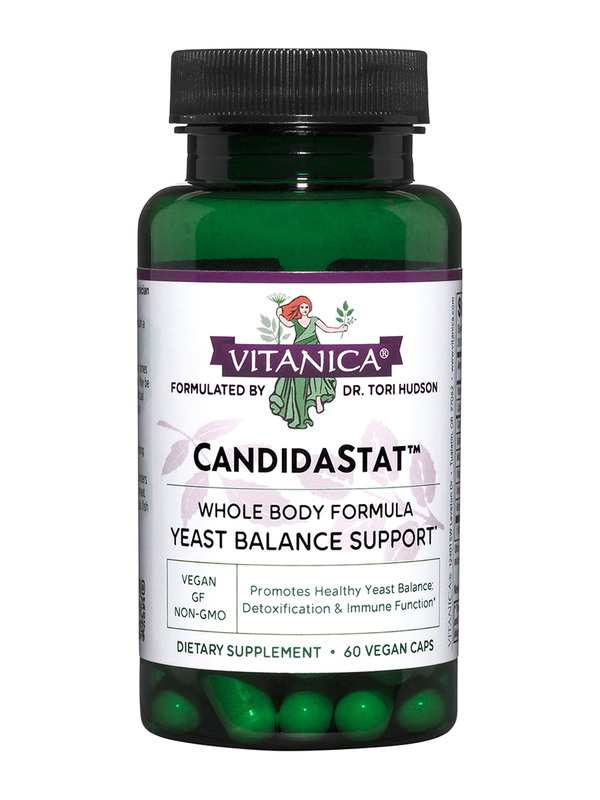 I suffer from high yeast and inflammation and my NP suggested CandidaStat by Vitanica for me. It works wonders! I feel so much better inflammation is low and helps with high yeast concentrations. If I don't take this for a few days I notice a major difference in how I feel. My yeast is in my gut.